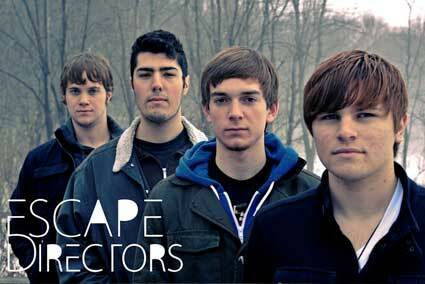 Escape Directors are an indie-rock quartet from Bergen County, NJ. They came together in Winter 2010 when singer Steve Carter wanted to put together a band around his songs. They immediately jumped into the studio to record their debut album, Ladders, which was released in June 2010. Since then, they have gained a powerful fanbase in North Jersey, supplemented by national praise from commercial radio, podcasts, journalists, bloggers, and other music tastemakers. They will be recording their new EP, “The Crowded Room,” with platinum-recording producer Jim Wirt in March, 2011.